The year was 1956 when a chubby, unknown band ripped out ‘Rock Around the Clock’. For Bill Haley and the Comets, a simple song became a musical genre. Music of the 50’s was quickly transformed as Elvis Presley popped on the scene with ‘Hound Dog’ and ‘Don’t Be Cruel’. There was a ‘Whole Lotta Shakin’ Goin’ On’ with Jerry Lee Lewis. There was Andy Williams, and The Platters, Patience & Prudence, Doris Day and the Four Esquires. The bop became bebop, and crowds flocked to the new sounds. Today, 50 years later, those sounds are still alive and appealing to countless millions worldwide every year. Now though, those tunes have a new name. 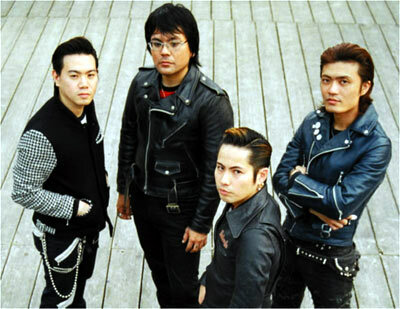 And oldies are the theme this weekend as five bands perform Okinawa Oldies Festival 2005. The six-hour open air concert at Ginowan Seaside Park, adjacent to Tropical Beach and the Okinawa Convention Center, will commemorate the upcoming 20th anniversary of the island’s premiere oldies music establishment. 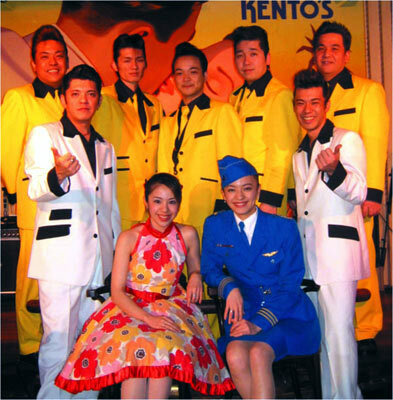 Kento’s, in the heart of Naha’s Matsuyama entertainment district, has been pumping out the 50’s and 60’s tunes for patrons for nearly two decades. He says “we think oldies are a gift brought to the island by Americans after the devastation of the Battle of Okinawa.” Those oldies will be chronicled by the Okinawa bands, and by Konishiki, a Hawaii-born former sumo wrestler. The soft spoken crooner specializes in Hawaiian music, belying his talents as a former ‘Ozeki’, the second highest sumo title rank following a ‘Yokozuna”. Seaside Open Air Park gates open at 2pm Saturday, with the oldies festival launching at 3pm. Tickets are Y3,000 in advance, and Y3,500 at the park. Tickets are available at all Lawson and Family Mart convenience stores. Lucky Lips, with the Kento’s band Dynamites, is on stage at 3pm, followed at 3:55pm by Undercurrent. The Beatle Crusher takes the spotlight at 4:50pm, followed by The Waltz an hour later. Hawaiian singer Konishiki appears at 7:05pm. The Dynamites, heard nightly at Kento’s, caps the Okinawa Oldies Festival with their center stage performance at 8:05pm.